Celebrating all things chocolate, Chocolate Week is the nation’s favourite themed week, taking place from 15th – 21st October. With hundreds of events taking place across the UK with the country’s top chocolatiers and stores, this is the perfect excuse to indulge on the sweet, whether that’s purchasing a bar of quality chocolate from your favourite local supplier or using the ingredient in a new recipe. To celebrate Chocolate Week, here in Chapelton we have partnered with local and highly successful blogger and foodie Claire Jessiman, aka Foodie Quine. Here, Claire shares some of her top chocolatey recipes. 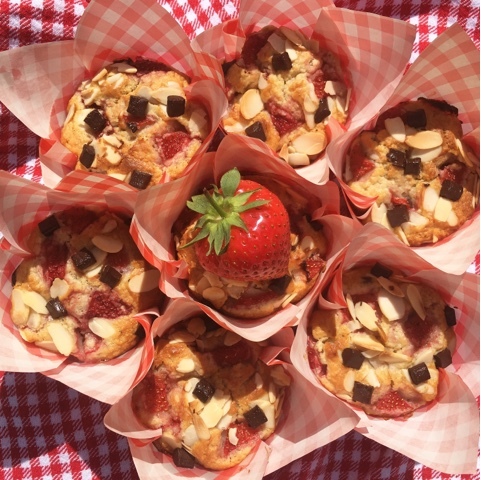 The combination of sweet strawberries and dark chocolate makes the perfect muffin. Quick and easy to make, these are great for a grab-and-go breakfast, with a cup of tea or as a dessert with a scoop of ice cream on the side. Teacakes are a classic and old favourite. 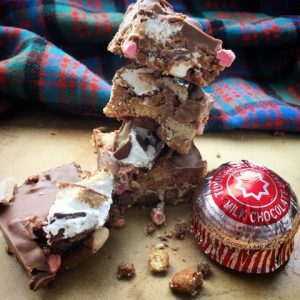 The biscuit and marshmallow goodness is iconic in Scottish confectionary and the ideal ingredient for making rocky road.